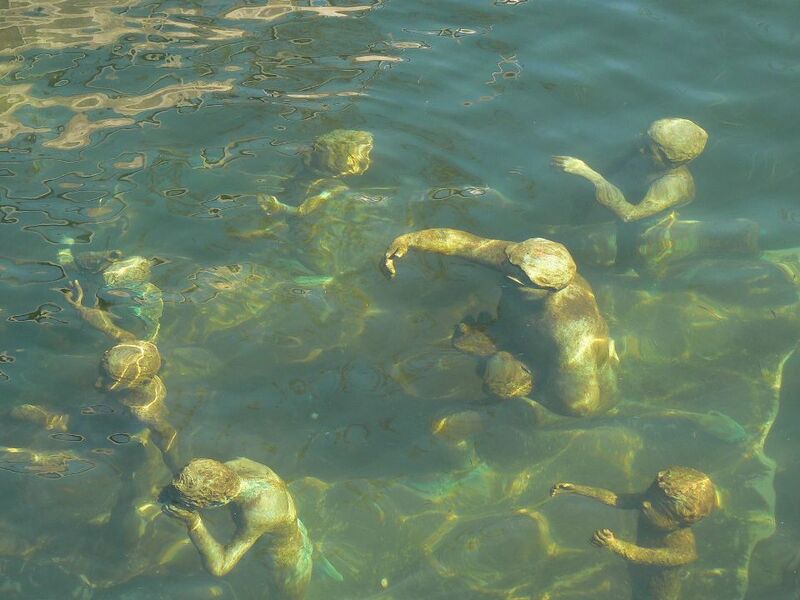 The Merman with Seven Sons, sculptures by Suste Bonnén. The sculptures were made in 1992 by the Danish sculptor, photographer, and author, Suste Bonnen. 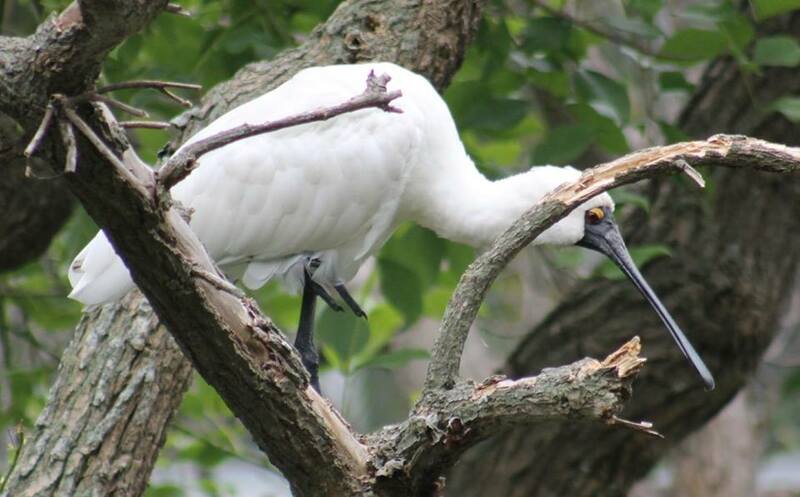 Photo by and courtesy of Canan Marasligil. Many storytellers ascribe the 'sighting' of mermaids since early times to sailors who had been too long at sea and saw walruses, seals and manatees wearing seaweed as hair ! These stories originated in places where some of the earliest sailors sailed - in Northern Europe this was Denmark, Sweden - the lands of the Vikings, or along the south coast of England. In Ireland and Scotland they were known as Selkies, a word which itself derives from earlier Scots selich, (from Old English seolh meaning seal), and they too, like The Little Mermaid, are said to live as seals in the sea but shed their skin to become human on land. In these areas historians speculate that the stories originated in the visiting to the Orkney islands by peoples Finnish and Saami women who were misidentified as selkies because of their sealskin kayaks and clothing, or misinterpreted sightings of Finn-men (Inuit from the Davis Strait). The Inuit wore clothes and used kayaks that were both made of animal skins. Both the clothes and kayaks would lose buoyancy when saturated and would need to be dried out. It is thought that sightings of Inuit divesting themselves of their clothing or lying next to the skins on the rocks could have led to the belief in their ability to change from a seal to a man. Others state the origin may stem from shipwrecked Spanish peoples washed ashore with their brilliant black hair. The Little Mermaid, (Danish: Den lille havfrue) is a fairy tale by the Danish author Hans Christian Andersen about a young mermaid willing to give up her life in the sea and her identity as a mermaid to gain a human soul. The 'tale' was first published in 1837. Right Illustration: The Mermaid - (4) - The Princefrom Gutenberg.org: Stories from Hans Andersen, with illustrations by Edmund Dulac, London, Hodder & Stoughton, Ltd., 1911. Older still is the original ballad "Agnete and the Merman", or in Danish "Agnete og Havmanden", one of the many fairy tales found in traditional Danish folklore of mer-people. A ballad, a form of verse, derives its name from medieval French dance songs or "ballares" (L: ballare, to dance), from which 'ballet' is also derived. As a narrative song, ballad theme and function may originate from Scandinavian and Germanic traditions of storytelling that can be seen in poems such as Beowulf and from times before many people could afford books and stories and wisdom were handed from generation to generation through the telling of them, or the 'songing'. Telling stories in somng or poems, passed on by word of mouth for generations, like numerous other folktales in many other parts of our world, was a career in some places - a Troubadour is just one example. In Asia Matsyāṅganā exists within India, Cambodia, Indonesia, Laos, Burma, Singapore, Thailand and Vietnam, and the Japanese Ningyo and is 'told' to be a version of the Hindu god Vishnu in the form of a fish. Matsya rescued the first man, Manu from a great delugeand is depicted as a giant fish or with a human top and the bottom half as a fish. In Copenhagen there are five sculptures or statues dedicated to mer-folk, The Little Mermaid being perhaps the most famous, and is displayed on a rock by the waterside at the Langelinie promenade in Copenhagen, Denmark. It is 1.25 metres (4.1 ft) tall and weighs 175 kilograms (385 lb) and has been greeting visitors since 1913. Another is the "Black Diamond Mermaid", a copy of Anne Marie Carl-Nielsen’s 1921 statue; a large (15-foot) granite mermaid located on the port-of-call cruise ship dock in Copenhagen and two versions of the story told in that famous old ballad of Agnete and the Merman. The first, and one of the most wonderful due to its location underwater in the Slotsholm Canal next to the Højbro Bridge is that of the Merman and his seven sons. It may be nice to see mermaid and merman statues above the water - but this one takes the cake for being more to the point! There is another above water and in air but touched by water - the Agnete and the Merman sculpture/fountain by the City Hall in the Park Allé avenue created by Johannes Bjerg (1886-1955) - a sculptor and director of the Royal Danish Academy of Fine Arts from 1943. His work apparently focused on giving the human figure a particularly powerful expression. Either way, we hope you have a few more insights into mermaids and mermen and if you see a few seals on your travels this Summer, especially of they're playing with long strands of seaweed, squint your eyes a little bit and see if you can see some merfolk. As the Summer School Holidays begin this week, Wednesday 16th, we'd like to share a movie about a mermaid we've watched several times and watch still on occasion - besides being good fun there's a lady and gentleman in this cast who once lived at Bayview and were married the year this was released. Googie Withers was an English actress who was married to Australian actor, John McCallum. These were wonderful people, delightful to meet and speak with, and both contributed so much to Australian theatre and film we'll have to leave that for another story! There is a little more on Bayview below - to end the school year - a small insight into the history of the Loquat Valley school from an old article. We run it this last week so you remember to thank your wonderful teachers for all they have done for you this year and also to let you know we will be running some history pages just for you in 2016 on some of Pittwater's earliest schools - there's some great people and happenings there too - you will be able to stand where they once stood, look where they once looked and wonder what they would think of these places and schoolrooms now! The film is called 'Miranda', a name created by Shakespeare for the heroine in his play 'The Tempest' (1611). Miranda was a young girl raised and educated on an isolated island by her magician father. The name means "Worthy of admiration; wonderful" and even '"miraculous" - just right as a name for a mermaid. It is set at Cornwall, in England, another place famous for mermaids: one example is The Mermaid of Zennor (Cornish: An Vorvoren a Senar) a popular Cornish folk tale that was first recorded by the Cornish folklorist William Bottrell in 1873. The story states that long ago, a beautiful and richly-dressed woman occasionally attended services at St. Senara's Church in Zennor, and sometimes at Morvah. The parishioners were enchanted by her beauty and her voice, for her singing was sweeter than all the rest. She appeared infrequently for scores of years, but never seemed to age, and nobody knew whence she came, although they watched her from the summit of Tregarthen Hill. 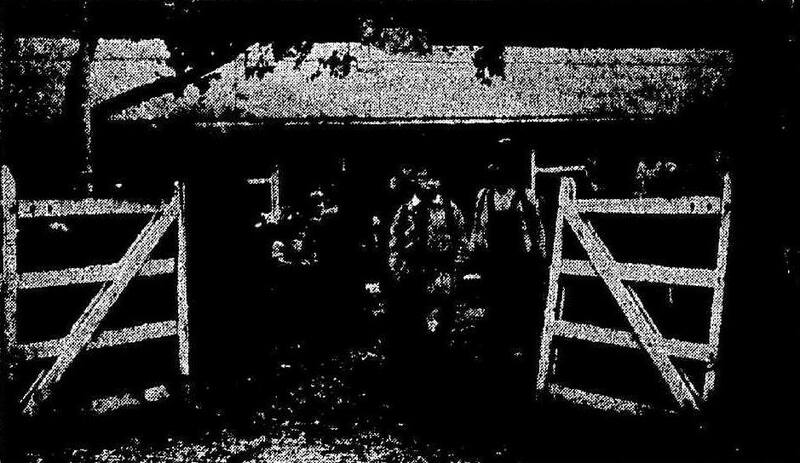 After many years, the mysterious woman became interested in a young man named Mathey Trewella, "the best singer in the parish." One day he followed her home, and disappeared; neither was ever seen again in Zennor Church. The villagers wondered what had become of the two, until one Sunday a ship cast anchor about a mile from Pendour Cove. Soon after, a mermaid appeared, and asked that the anchor be raised, as one of its flukes was resting on her door, and she was unable to reach her children. The sailors obliged, and quickly set sail, believing the mermaid to be an ill omen. But when the villagers heard of this, they concluded that the mermaid was the same lady who had long visited their church, and that she had enticed Mathey Trewella to come and live with her. Right: The Zennor Mermaid Chair - The Mermaid of Zennor, wood-carved bench end, Cornwall, late fifteenth century. Photographed in September 2007 (in Zennor Church, Cornwall). 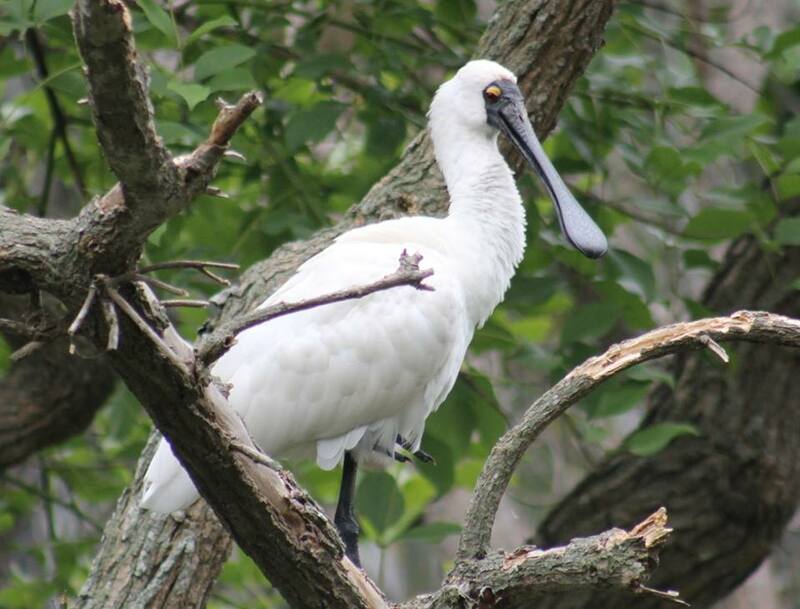 Photo by and courtesy of Tom Oates. The parishioners at St. Senara's commemorated the story by having one end of a bench carved in the shape of a mermaid. A shorter account of the legend was related to Bottrell on a subsequent visit to Cornwall. The mermaid had come to church every Sunday to hear the choir sing, and her own voice was so sweet that she enticed Mathey Trewella, son of the churchwarden, to come away with her; neither was seen again on dry land. The famed "mermaid chair" was the same bench on which the mermaid had sat and sung, opposite Trewella in the singing loft. The "mermaid chair" at St. Senara's Church can be seen to this day. Miranda is a 1948 British comedy film, directed by Ken Annakin and written by Peter Blackmore, who also wrote the play of the same name from which the film was adapted. Denis Waldock provided additional dialogue. A light comedy, the film is about a beautiful and playful mermaid played by Glynis Johns and her effect on Griffith Jones. Googie Withers and Margaret Rutherford are also featured in the film. Cast: Glynis Johns as Miranda Trewella, Googie Withers as Clare Martin, Griffith Jones as Paul Martin, John McCallum as Nigel, David Tomlinson as Charles, Margaret Rutherford as Nurse Carey, Yvonne Owen as Betty, the Martins' other servant and Charles' girlfriend, Sonia Holm as Isobel, Brian Oulton as Manell, Zena Marshall as Secretary. In a little bush clearing overlooking the reaches of Pittwater, 60 children are going to Australia's most unusual school-founded by an airman.Captain Patrick Gordon Taylor, pioneer of world air routes, set out after the war to blaze a new trail-and it led to Loquat Valley School, Bayview. He came home from service on the North Atlantic air routes with two daughters, Jennie (now 9) and Sue (7), and found there was no school for them to go to up that way. Others in neighbouring districts were full. Captain Taylor decided to found his own school and neighbours welcomed the idea. Captain Taylor arranged to start in a tennis club building, but the club found it needed its building. So 13 children attended their first session on the verandah of a nearby home. From the old Army camp in French's Forest Captain Taylor bought two big huts. Captain Taylor got the bricks by driving around the country in his car, telling his story to sympathetic but unhelpful brick-yard men. At last, one said: "You shall have the bricks tomorrow." He got the bricklayer by persuading his household maid to talk her boy friend, a brick-layer on another job, into it. Captain Taylor and his wife, his secretary and his school staff sawed wood, painted walls, made window boxes, helped with the building and got the school going. Now there are two full-time teachers at the school-Miss Joyce Kennington, who started the school in 1946 with Mrs. Gomme, and Mrs. John Day, who teaches the older children. Right from the start Captain Taylor determined it should be an Australian school for young Australians to give them a feeling of confidence in their country and themselves, and to break away from ideas unsuitable to life in Australia. He poured more than £5,000 into his ideal. Children aged 3 to 11 sit at desks built of Australian wood, in airy classrooms with walls tinted in warm shades and ceilings a pastel blue. The children see their lessons chalked on a green board-not black, because it is too drab-and on their bush rambles they learn nature lore from seeing koalas and wallabies and possums and jet black rabbits frolicking in the undergrowth. They swim in Pittwater, they ride ponies, they learn ballet. Captain Taylor watches the school grow and plans how he will extend it-a swimming pool here, a new building there. And because it is an ideal he is working for, he puts back into it all the profits from 'fees. 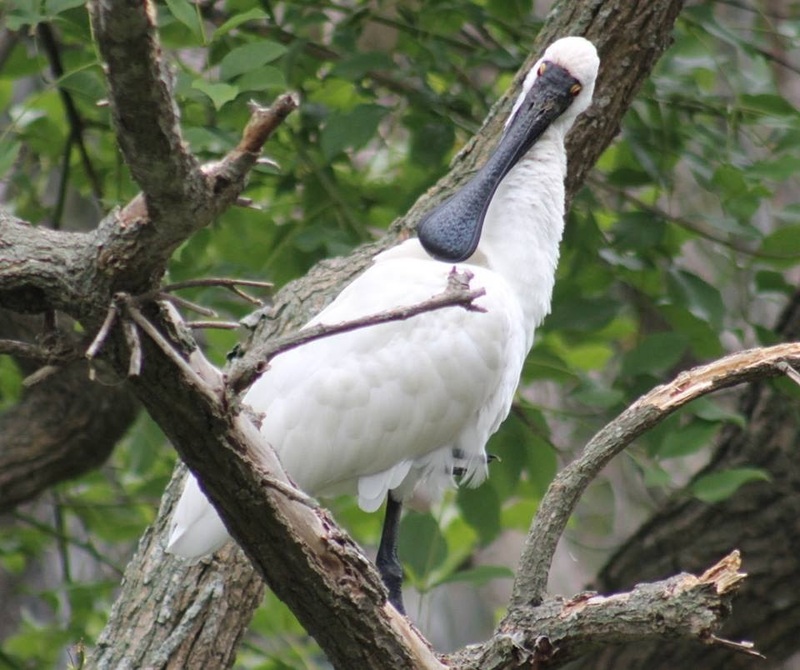 Just a Spoonbill In A Tree On at Careel Careel This Week! 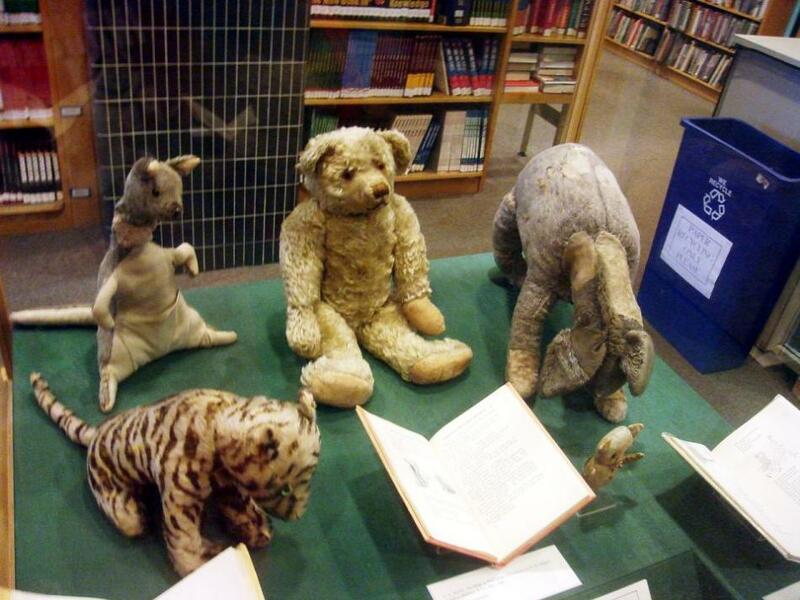 Above are the real stuffed toys owned by Christopher Robin Milne that feature in the Winnie-the-Pooh stories. These have been on display in the New York Public Library in New York City since 1987. According to the New York Public Library's web site, the items have been on display in the Children's Center at 42nd Street, in the "main branch" of the library (the Stephen A. Schwarzman Building at Fifth Avenue and 42nd Street) since early 2009. Christopher Robin Milne (21 August 1920 – 20 April 1996) was the son of author A. A. Milne. As a child, he was the basis of the character Christopher Robin in his father's Winnie-the-Pooh stories and in two books of poems. On his first birthday, he received an Alpha Farnell teddy bear he called Edward (‘Teddy’ is a nickname for people called ‘Edward’). Christopher Milne had named his toy bear after Winnie, a Canadian black bear he often saw at London Zoo, and "Pooh", a swan they had met while on holiday. The bear cub was purchased from a hunter for $20 by Canadian Lieutenant Harry Colebourn in White River, Ontario, Canada, while en route to England during the First World War. He named the bear "Winnie" after his adopted hometown in Winnipeg, Manitoba. "Winnie" was surreptitiously brought to England with her owner, and gained unofficial recognition as The Fort Garry Horse regimental mascot. Colebourn left Winnie at the London Zoo while he and his unit were in France; after the war she was officially donated to the zoo, as she had become a much loved attraction there. Pooh the swan appears as a character in its own right in When We Were Very Young. "....But his arms were so stiff ... they stayed up straight in the air for more than a week, and whenever a fly came and settled on his nose he had to blow it off. And I think – but I am not sure – that that is why he is always called Pooh."